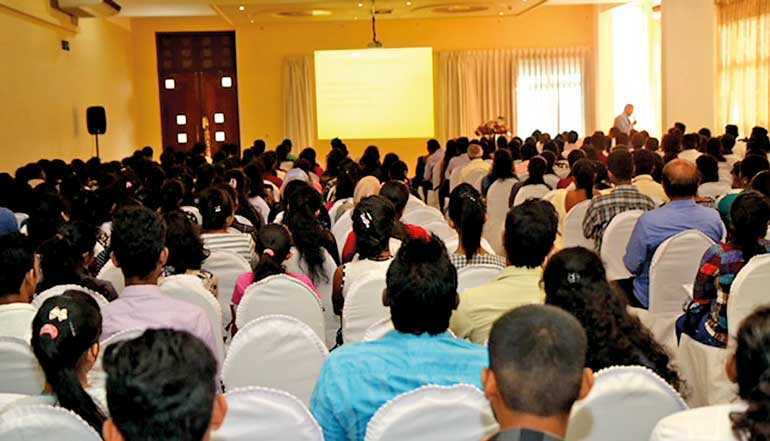 The National Human Resources Development Council of Sri Lanka (NHRDC), in collaboration with the Kurunegala District Secretariat, Chamber of Commerce, Department of Manpower, EFC and TVEC, in December held their sixth career fair for 2018 in Kurunegala. The workshop was to facilitate A/L students to find work according to their interest and skills. Around 600 students attended the event. NHRDC will continue to conduct events in several cities in 2019, according to NHRDC Director Dr. Lalithadheera, to give A/L students and employers a chance to meet and discuss potential job and internship opportunities and also to get students exposed to the world of work.